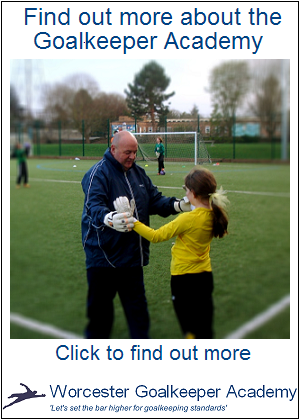 Goalkeeper – Hero or Villain? The goalkeeper position is so unforgiving and even more so under the spotlight of the highest levels of football. These keepers are expected to be absolute superstars and come under intense scrutiny when they make a mistake or not keep a clean sheet. It could be said that it is the same for forward too at the highest level, if they don’t score the goals week in week out… However there is usually more than one forward on the pitch to share the blame. That then, there is a share of the responsibility. Although should there be a collective blame too of a defence when things go wrong at the back? Not in the case of David de Gea, who was heavily criticised by the press following their defeat to their old foes, Liverpool. Yes, he made errors but so did his defence… This will really affect a goalkeeper already short on confidence. Hats off to Michael Owen though who has come out and defended his keeper (http://www.dailymail.co.uk/sport/football/article-2093384/Michael-Owen-blasts-David-De-Gea-critics.html), as should the rest of his team and also the fans too. This is a player who took the plaudits in 2009 after his debut in the UEFA Champions League and for his performance for Club Atlético de Madrid’s in saving a penalty in their La Liga opening game (http://www.uefa.com/uefachampionsleague/news/newsid=901256.html). A player who was signed by Sir Alex Ferguson in 2011 after performing brilliantly for Spain in the Euro Under-21 cup winning team and described as ‘one of brightest prospects in the game’ (http://www.sportinglife.com/football/news/story_get.cgi?STORY_NAME=soccer/11/06/29/SOCCER_Man_Utd_Snap.html&BID=165). A signing for Manchester United, that made him the third most expensive keeper in the history of football. Can he really go from hero to villain that quickly? It has become so apparent if you study David de Gea that his confidence is low and in need of a much needed boost. As Paul Parker points out in his Eurosport Blog that not only can you see this complete lack of confidence, that he also looks lost… Well let’s face it he has taken on a lot of criticism, and it looks like it is really affecting him. He’s not the first high profile keeper to receive such criticism, take our previous England keepers, Scott Carson, Paul Robinson, Robert Green and David James. All criticised for a mistake that cost us international matches and competitions, that let’s face it we only ‘may’ have won, especially considering the level of the competition we would face… Did we also criticise the fact that we didn’t score enough goals? … And why does one of the Academy’s favourite player’s, David James have to have the label, ‘Calamity James’? When as a keeper he has kept a phenomenal amount of clean sheets… It’s a shame that a few bad mistakes (with some of them being made whilst he tried to compensate for a lack of defence), meant he gets such a poor nickname. As a goalkeeper you need to have a regime to be able to move on from a mistake. …So we changed her motivation and praised her on performances. Stating that should may well concede goals and not to worry… just as long as she puts in the performance and tries to improve on the areas she needs too… It has improved her as a keeper that she smiles after every match. I am just happier to see her acknowledge that she made a mistake and then to watch and see that she learns from this. It just goes to show you the power of the mind! Posted on Thu 02 February 2012, in David James, Goalkeeper Coaching, Goalkeeper Development, Goalkeepers, News Stories, Psychological Development, Psychology and tagged Alex Ferguson, Club Atlético de Madrid, Confidence, David de Gea, David James, England Keepers, Football, Goalkeeper, Goalkeeping, Manchester United, Michael Owen, Paul Parker, Paul Robinson, Psychology, Robert Green, Scott Carson, Spanish Under 21, UEFA Champions League, Worcester Goalkeeper Academy, Worcester Goalkeeping Academy. Bookmark the permalink. Leave a comment.